episode 80 – Why don’t you…? Couldn’t you just…? You should…! Welcome in to this episode; where I think I may just about have gotten over EYF…maybe! 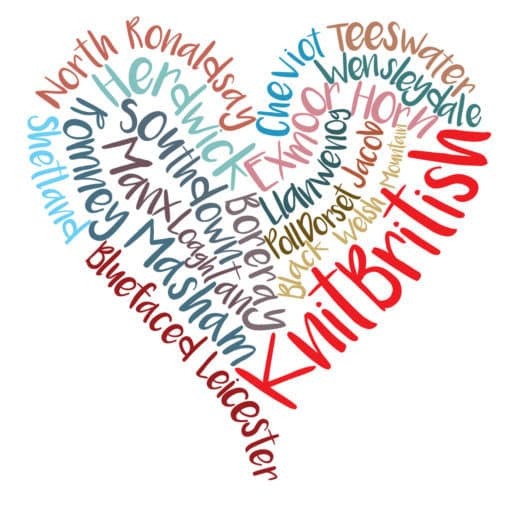 This episode is sponsored by our first KnitBritish Woolly Mucker, Christine Perry. AKA WinwickMum across social media, you may know her from her blog or from Ravelry. Currently Christine is knitting some socks in the new candyfloss shade of WYS Signature Sock and she is designing in Doulton Flock Border Leciester for an upcoming tutorial. Listen in to this episode to hear about the first big knitting project Christine ever cast on and much more. It may be three weeks later, but EYF is not a distant memory. I feel so much the connections to the community that you will hear a lot of people reporting back on, or having experience of yourself. There is an incredible feeling of being with your own folk – a superhero kinda feeling – that lasts long after. Sonja and I Malena Persson. Cagney and Lacey Malena Persson. Norah [SilverSpringKnit] and I photo Malena Persson. These “Couldn’t you just….I know you’re busy but….You know what you should do….” – with all the best intentions and well meaning wishes from the people saying them, fill me with anxiety a bit and make me a bit breathless. There are plans afoot, rest assure, but I hope you can continue at the pace I’ve set just now. I feel that the best way to plan for me is to manage realistic expectations. I know it sounds like I talk about my entire life on this podcast, but I really don’t. I give you a very small picture of me and (no less genuine or honest as the whole story) I do have other commitments in work and life that I also need attending to outside of KB. So no, no b&m shop is in my future, if you want to arrange a KB meet up then please do it – like Mazzy and some of the KB rav gang in Bristol this weekend (I may even come if I can get there on one train) and no, while I’m very happy to take part in podcaster meet ups anywhere, there is only one Podcast Lounge, and it’s at EYF!. And while I try to keep my plans for KB realistic I am afraid I am failing completely at this in my knitting. Currently ALL the light, short sleeved summery tees want to get on my needles! How do you deal with this? 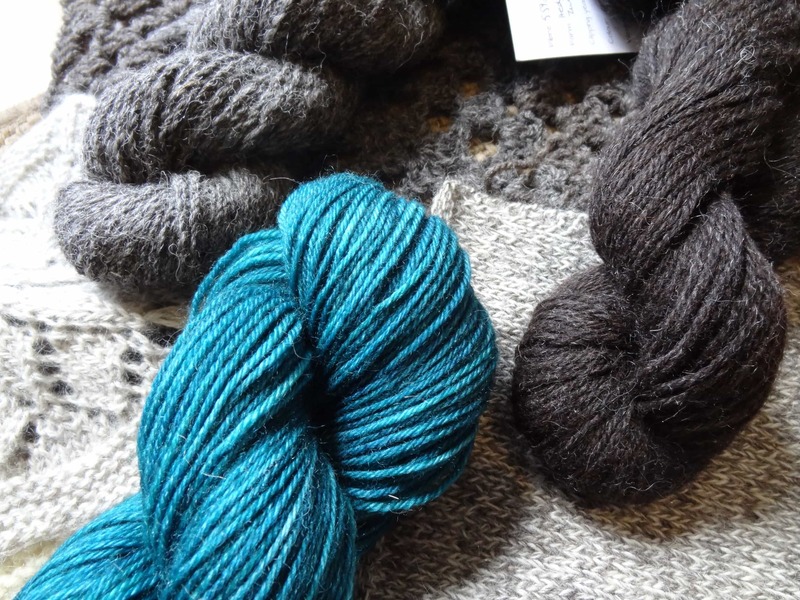 Cast on and go for it or manage your knitterly expectations in a bit more of a structured way? Answers on a postcard! My motto has always been that there is always something to learn in our crafts and I have talked on the podcast before about how we are skilled craftspeople, learning on the job and of the importance of brushing up our skills. 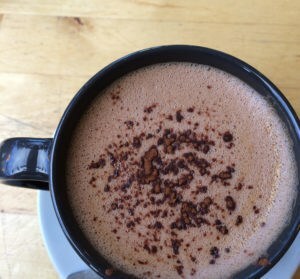 I feel very connected to those ideas and so was delighted when Jen Arnall Culliford offered me the chance to review her new project, The Year of Techniques. This is a monthly release with a new technique each month, accompanied by an article and a tutorial. Small enough to be completed in a month, with a KAL and lots of online chatter, this is an excellent way to add to you knitting arsenal and put new focus on skills you may have a little experience of . Techniques are by designers such as Bristol Ivy, Woolly Wormhead, Ella Gordon, Tin Can Knits and Mary Jane Mucklestone and techniques include afterthought heels and thumbs; helical stripes; intarsia; Judy’s magic cast on; knitting on a border; mastering dominance in Fair Isle knitting; pinhole cast on; reading cables from charts; short rows; steeks and turning a heel. So you can bet you’ll be hearing about my trying some of these techniques (in bold!) in the months to come. I need to think of a good name for this Q&A segment with the muckers. Where possible I want to bring our Muckers into the show to ask two very distinct questions. A bit like the lovely inheritance tracks on Radio 4. Entrelac Jumper designed by Chrsitan de Falbe, knit by Christine in the 80s. 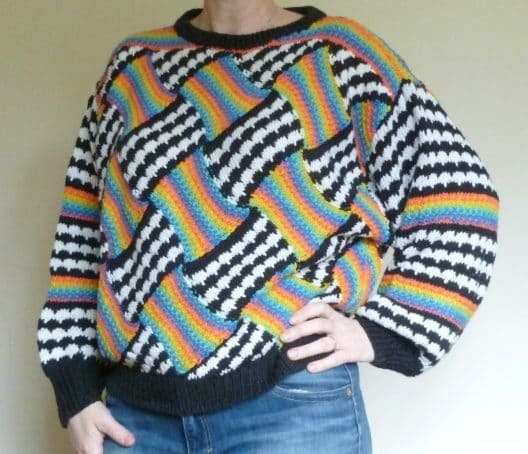 Listen in to hear about this incredible jumper, which opened up a new world of knitting for Christine and hear about her love for West Yorkshire Spinners and Northern Yarn Dorset Lambswool. Thanks so much again to Christine for sponsoring this episode of the podcast. A very kind, anonymous person gave us a copy of Knitlandia to giveaway. Shortly I will op en this thread in the Ravelry group and you can enter. I will close this on 14th April. GOOD LUCK and thanks anonymous benefactor/ess. The KB tote bags, hand printed by the wonderful Knitting Goddess will go in the bigcartel shop on or about 10th April. As these are a bit limited edition then you are asked to buy no more than two. Details will go up there very soon and thanks for your patience! 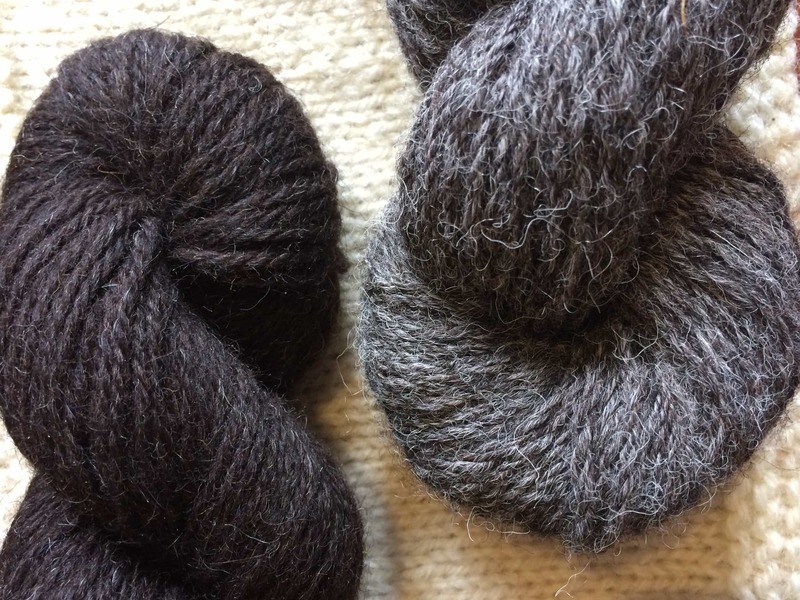 Over the next month we will have some wonderful yarn to share, including Croft29 Hebridean and I have Kerry and Maddie from Knitting For All coming on to talk about the classes and about getting involved with taking your skills and teaching them to others. Music: Carefree by Kevin McLeod and Singin’ in The Rain (demo) by David Mumford – Both are on FreeMusicArchive and are both shared under Creative Commons Attribution license. Images are copyright to those attributed in the caption, otherwise they are mine. All books reviewed were given to me free in exchange for an honest review. Lovely episode with your first woolly mucker sponsored episode. Speaking from my own personal experience; I have found it most liberating and healthy to relinquish the tendency to form expectations period, with myself and others. When I do not place an “expectation” on a situation I find that I am happy and delighted with the results, be what they may. Rather than possibly displeased if it did not live up to rigid expectations. In relation to knitting projects I have set seemingly simple or even lofty expectations in the past. Yes, sometimes I accomplished it all but in all honesty sometimes I did not. Was I any better off for the former or worse off in the case of the latter? No, not really. To be flexible is best for me. I may think of knitting certain items but perhaps something unexpected comes up, like recently my cousin having her first child. What a great opportunity to show her my love and best wishes across the miles?! 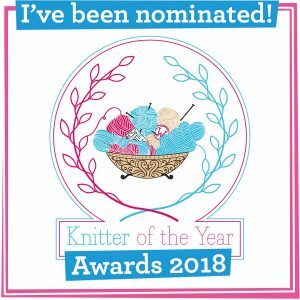 My knitting journey like the rest of my life is more joyful and unexpectedly delightful than I ever could have foreseen/planned for or yes, even expected 😉 Happy Knitting Mrs. Knit British. Enjoy your woolly and entire journey! Great episode as always…..I know you are busy but couldn’t you just …..keep on being you. Opps meant to say..I only allow myself four wips but I have a lovely long queue on Ravelry. My ‘favourites’ are my ‘one day’ list ..my queue is my ‘almost there and not to be forgotten’ list. So my expectations are managed by my queue…which is a very untidy queue..no order at all.